CR Laine Furniture Reviews and Complaints – Hickory, NC Made! Last Updated: May 26th, 2018 CR Laine have been producing furniture for almost 60 years and have emerged as one of the premier furniture manufacturers within the U.S. Founded by Clarence Roseman back in 1958, the company had humble beginnings but strong traditional values. Soon the company grew and diversified their product range and now they’re a household name when it comes to furniture. In our CR Laine Furniture Reviews guide we will go over CR Laine's history, the type of products they produce, the quality of their furniture, and their furniture warranty. Based in Hickory North Carolina, CR Laine is proud of It’s American manufacturing. Unlike a lot of the competition who have outsourced to cut costs, CR Laine believe in doing things the old fashioned way and overseeing the whole process. This allows them to keep tight control of the products and regulate the quality of every unit. All CR Laine Furniture is finished by hand making each piece unique. CR Laine Furniture was built on the idea of creating inspiring upholstered furniture through innovation. There are 3 main aspects that CR Laine focus on in their furniture: Style, Comfort and Colour. It’s CR Laine’s belief that these three attributes working in unison creates the perfect piece and really adds value to a home. CR Laine Furniture is made by expects with a long history in the industry. The all American production is a major plus for them and means their quality is likely to be high. Let’s take a look at their main product ranges. 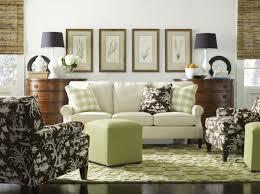 CR Laine are a full supplier of home furniture, with collections for every room in their house. They have products for dining rooms, bedrooms, home office, entertainment suites, storage solution, specialised kids products and of course a living room range. CR Laine’s living room selection, specifically their upholstery, is where they cut their teeth and still homes their most popular products. I would say their upholstery is on par with the quality of Flexsteel. CR Laine know their way around furniture and their skilled employees are familiar with a lot of advanced techniques to make their furniture durable. The specialist techniques are backed up with specialist materials. All of this means greater comfort in each unit and longer lasting quality. CR Laine create some of the best bench crafted upholstery around by constantly reevaluating their processes and products. They’re always looking for new materials or innovative additions to their pieces which has resulted in a varied and diverse portfolio of products. 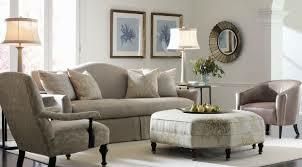 CR Laine are upholstery specialists and have been fitting out living rooms for almost 60 years. Let’s take a look at their main product ranges. Each CR Laine piece comes with different features to fit a different need and for each of these products you have the choice of traditional, modern or contemporary models. CR Laine also give you the option of creating your own furniture, where you select the shape, size, colours, design and any extra fittings. You can do this through their website or in store. 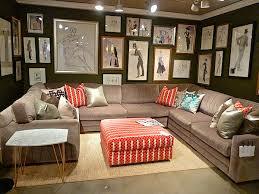 Sofas have traditionally been the chair of choice and CR Laine have a wide selection to choose from. The size and shape of each unit varies depending on the style you choose but with over 100 different collections there will be one to use your free space effectively. These vary dramatically from the bold to the subtle and each has a very distinctive look. These can bring together a room or make it clash completely, your best bet is to go into your local dealership and see samples of each before deciding (except the website exclusives where you’ll have to gauge it based on digital images). If you are interested in floral then Benchcraft and Ashley furniture both offer pretty good floral options. The fabric choice available from CR Laine is really impressive and gives the customer fairly tight control over the design process. There are also a number of leather sofas available. These provide a classic look to your furniture and have the benefit of being more durable against wear and tear. Choose from a variety of leather shades with unique rubs and finishes. CR Laine has over 50 different finishes to enhance the colouring of their pieces. These differ massively and they have everything from English Antique to Granite colours. CR Laine also offer additional motion options for some of their pieces. Specialist mechanisms are built into the chairs or sofas and you can choose from reclining, swivel or lift motions depending on your preference. 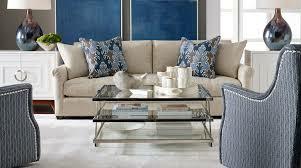 All CR Laine sofas feature hardwood or hardwood composite bottoms and frames to make them sturdier. All the upholstery is done in their facilities in North Carolina. The result is a highly customisable, well made piece of furniture which can add something to your living room. There is absolutely nothing worse than waiting for your products and then they arrive faulty, especially with a company like CR Laine Furniture who aren’t the cheapest around. However mistakes do happen with every company and that’s why it’s worth understanding your warranty and what your rights are. Overall CR Laine’s American production seem to be doing a good job, with only isolated incidents of mistakes or poor quality. The units are made to stand the test of time and bring value to homes for a number of years. CR Laine offer a fairly standard warranty that covers all defects in workmanship and materials. The products are covered for one year from purchase, but this doesn’t include any standard wear and tear so be sure to check the best ways to maintain your quality furniture. It’s always worth double checking with your dealer what is and isn’t covered so you know where you stand if something goes wrong. 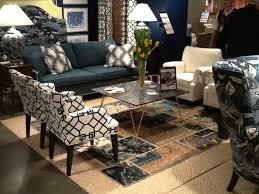 CR Laine Furniture are offering some impressive choices when it comes to fabrics. There are more colours, patterns and designs available than most other brands. But despite this focus on the upholstery the frames and woodwork don’t suffer. All of CR Laine’s products seem to be well built and durable. It’s always worth spending a little more if your budget allows so you get the best quality materials in your furniture. This pays dividends in the long run and gives you peace of mind. 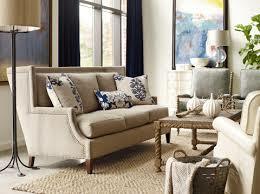 With CR Laine if you can afford to spring for their higher tier products then do it, and leather is always a solid choice for sofas and recliners. If you're looking for similar levels of fabric quality but with a little cheaper price, then I suggest looking a Rowe for quality fabric. Overall CR Laine Furniture have struck a very delicate balance between price, style and quality and are bringing value to homeowners across America. Find your local dealer today and see what products are best suited for you. Checkout other furniture reviews here.